It's Saturday afternoon. Your friends are in town for the weekend, and you want to show them a good time. You want them to experience your neighborhood; it's charm, it's people, and all it has to offer. You want to show them why you live where you do. You're visiting the Boston area. You want to take in all the sights, the sounds, the tastes. You have dinner reservations tonight and a few hours to kill before. You love exploring, experiencing local scenes, and beer. No matter who you are and where you're coming from, if you love beer, this tour's for you! Brewing beers from a 10,000 square foot former car garage in the heart of Cambridge, Lamplighter creates beer "that you've never had anywhere else". Why the name Lamplighter? "When lit, they're warm, they're welcoming, and they feel like Cambridge. They are also a symbol of community, tradition, and (at the time when they were used...) progress. A lamplighter was the guy or gal who was responsible for lighting these beacons, and we similarly hope to mimic these qualities in our taproom and beer." One-off batches, uber funky sours, and flavor-driven ales reign here. CBC has been producing handcrafted beers since 1989. With the goal of pushing the boundaries of brewing while still providing accessible beers, CBC creates a broad spectrum of styles ranging from recreations of historical beer recipes from around the world to single-batch seasonals made with local ingredients. Everything served at CBC is created and produced with the environment in mind. Recycling, composting, energy-efficient lighting, water re-use and non-toxic cleaning supplies are the business practices here. CBC partners with with local suppliers and to support the local economy. "A good business can only be as strong as the community that supports it and should in turn give back in ways that empower that community". 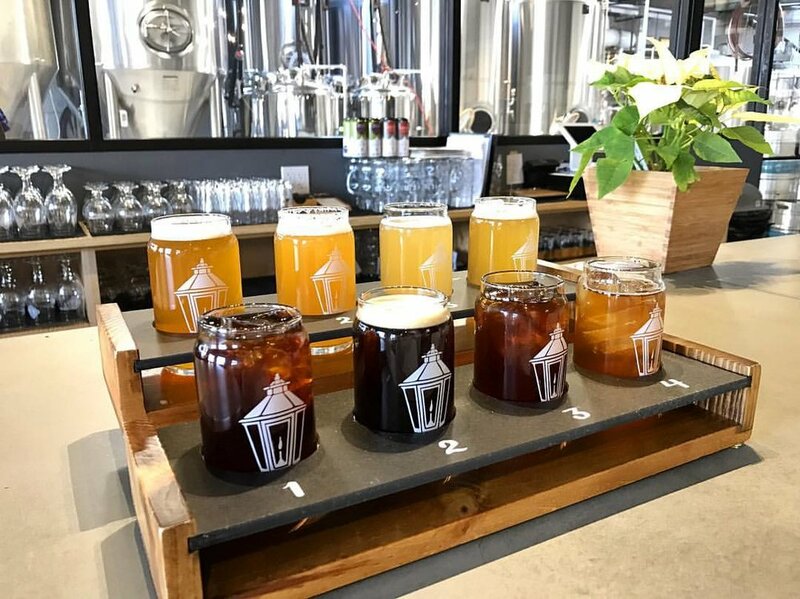 Down the road in Somerville, Aeronaut Brewing Co. not only merges science and beer but is also an event space and Food Hub, home to severals food related businesses including a farm-to-table restaurant, a chocolatier and a farmer's market delivery service. Know for tasty brews with space-age names and out-of-this-world can art, drop in for a tasting flight and bring back a 4 pack. Duxbury's Island Creek Oysters is taking your typical Farm Share program to a whole new level, from sea to table. Island Creek Oysters began as a 4 person company selling their oysters to local chefs from the back of a pickup truck. The company is now one of the largest oyster providers in the US, sourcing from their ten oyster farms in Duxbury, MA. Choose from 2 options: the Chef Share or the Shell Share. With each share, receive a monthly package or fresh bivalves + more, June through October. Each monthly shipment will include a dozen oysters and a chef's recipe and the local ingredients called for (veggies, cheeses and meats) in order to make a meal for 4. Starting at $299 for the season. Learn more here. Each monthly shipment will include featured bivalves such as head-on shrimp, countneck clams, razor clams, or lobsters. Plus, you'll get the background info on the harvesters and tips on how to best enjoy your shellfish! Starting at $299 for the season. Learn more here.